This is the second in a 2-part series on open educational resources in higher education. Read the first part on open education resources in community colleges. In 2002, MIT became an open education resource (OER) pioneer. MIT launched OpenCourseWare providing access to MIT course materials to all. In 2016, OpenCourseWare is providing materials from 2,340 courses and has had 200 million visitors. The OpenCourseWare model has been replicated around the globe making educational resources more open and accessible than ever before. In the Educause publication The Tower and the Cloud, Malcom Read outlines a number of reasons why an institution would implement OERs. Most of the benefits schools hope to derive from creating OER can only be realized when students and instructors know about and engage with the content. Other important considerations of OER include how to enhance discoverability and adoption. 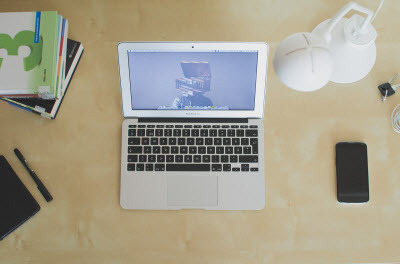 There are many different mechanisms used by schools, such as awards, recognition or grant funds to incentivize and subsidize an instructor’s cost and effort to make changes to course materials and incorporate OER content. Some schools are also using technology partners to build OER content into the workflow of instructors and students, such as with Summon’s campus discovery tools or with SIPX. 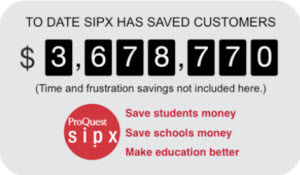 ProQuest SIPX is a course materials solution that can connect into a campus Learning Management Systems and incorporates library and OER content to save students and schools an estimated $5.9 million to date. Register for an introductory webinar on June 21, 2016 to see what SIPX can achieve for your campus and how you can create immediate benefits and savings. In the Educause publication The Tower and the Cloud, Malcolm Read outlines a number of reasons why an institution would implement OERs. 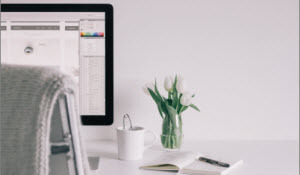 Some schools are also using technology partners to build OER content into the workflow of instructors and students, such as with Summon’s campus discovery tools or with SIPX. 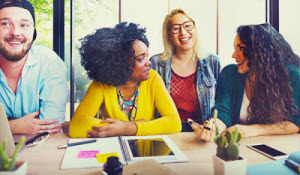 ProQuest SIPX is a course materials solution that can connect into a campus Learning Management System and incorporates library and OER content to save students and schools an estimated $5.9 million to date. Register for an introductory webinar on June 21, 2016, to see what SIPX can achieve for your campus and how you can create immediate benefits and savings.